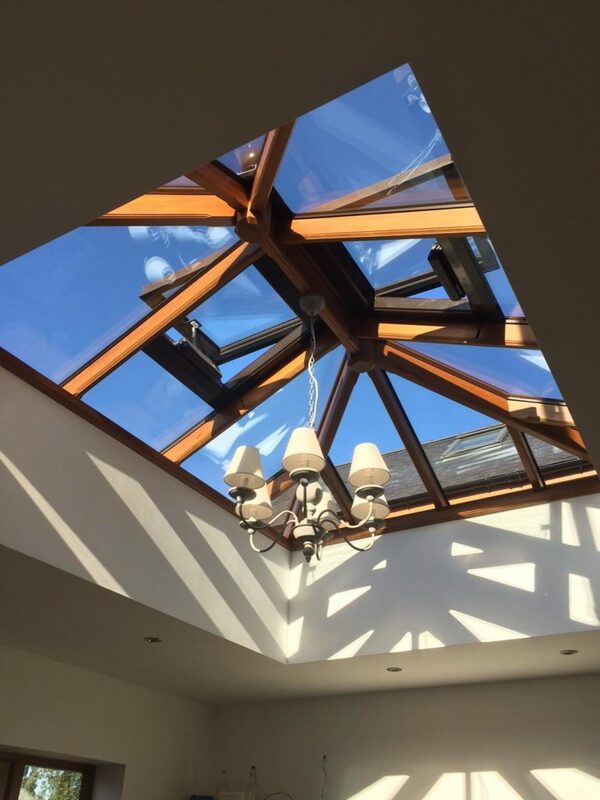 Timber roof lanterns are one of the most popular choices for roof lanterns, due in part to the strength and appearance of timber as well as the cost. 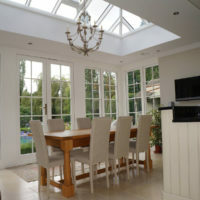 Timber is one of the cheaper hardwoods but still of very high quality. 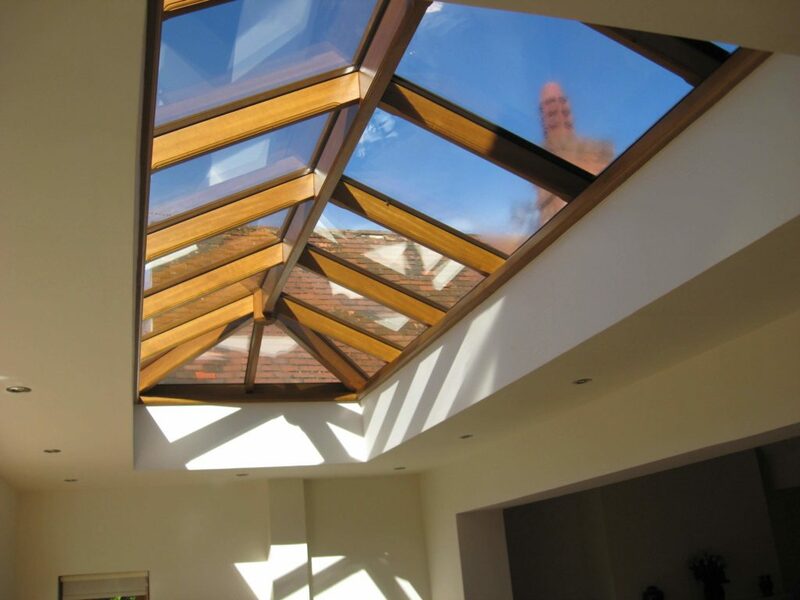 Here at Prestige Roof Lanterns we use the finest handpicked timbers to use in the joinery to manufacture a product to high standards. 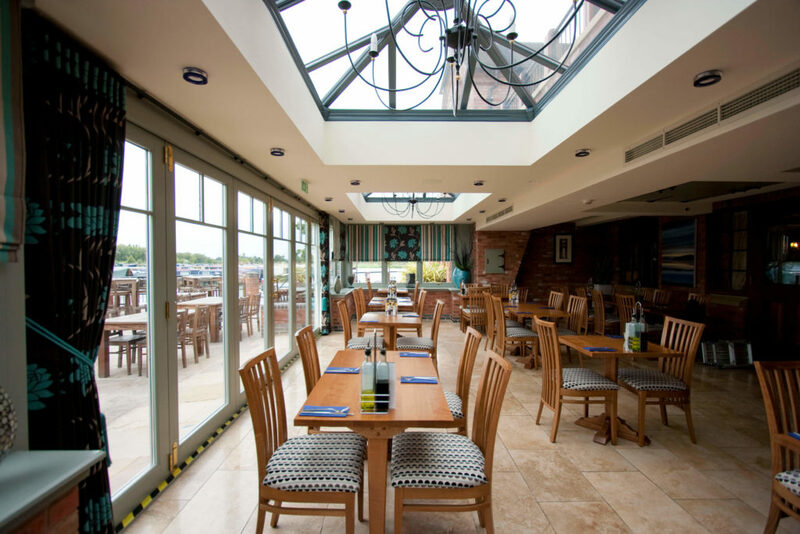 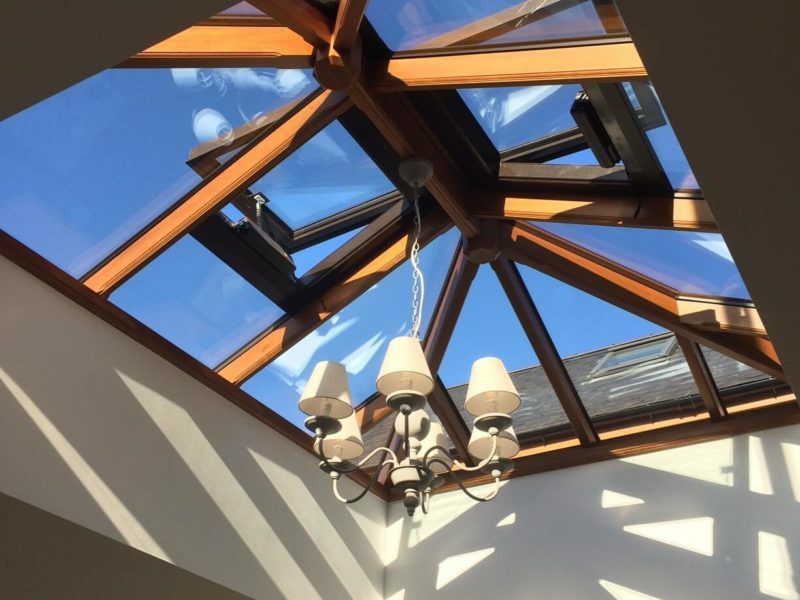 Combining stunning design, premium materials and expert craftsmanship our timber roof lanterns look and feel premium, are durable against weathering, UV damage & mold. 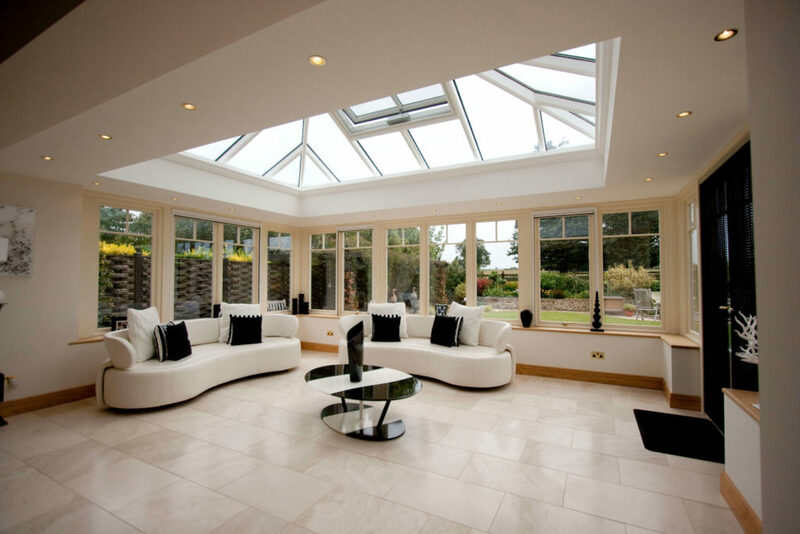 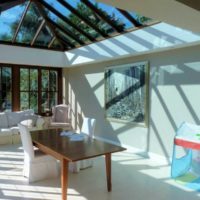 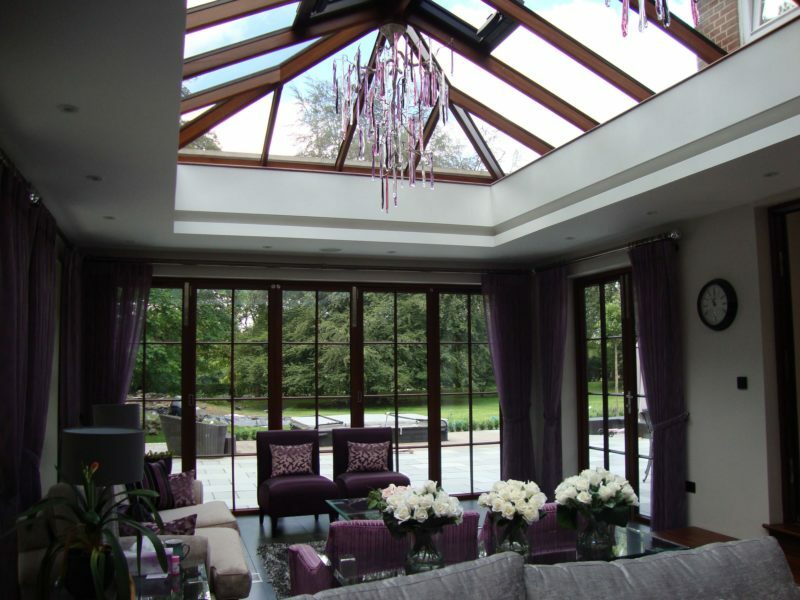 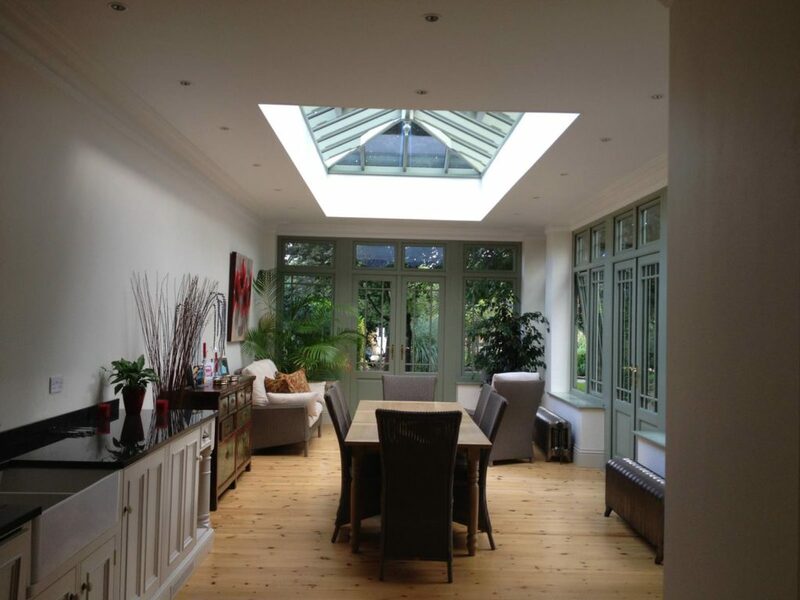 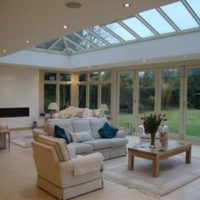 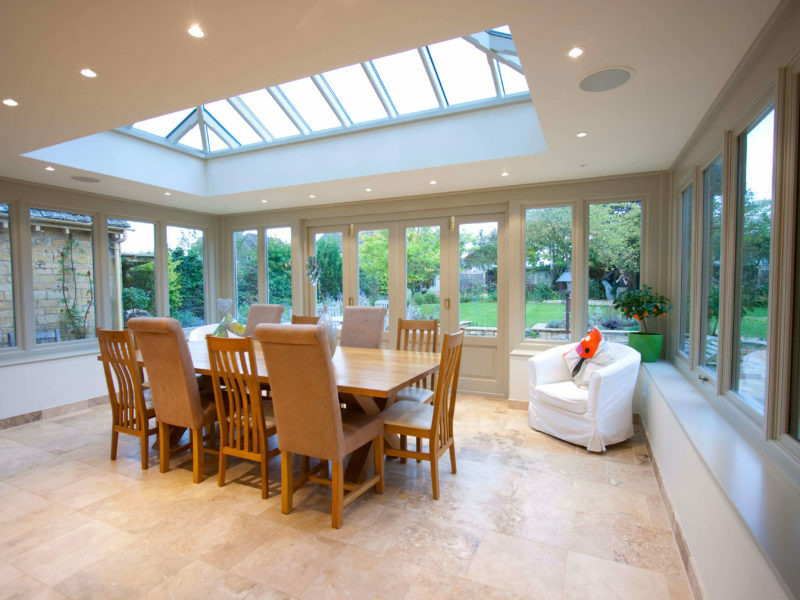 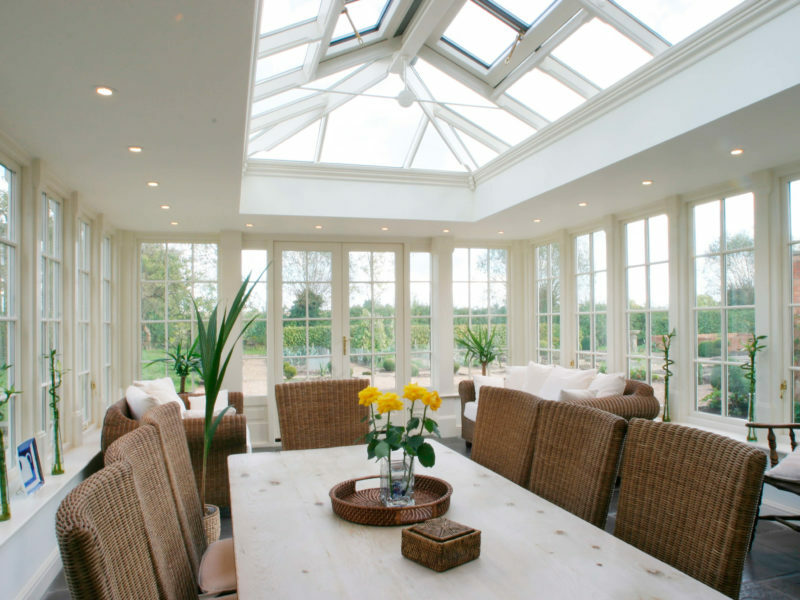 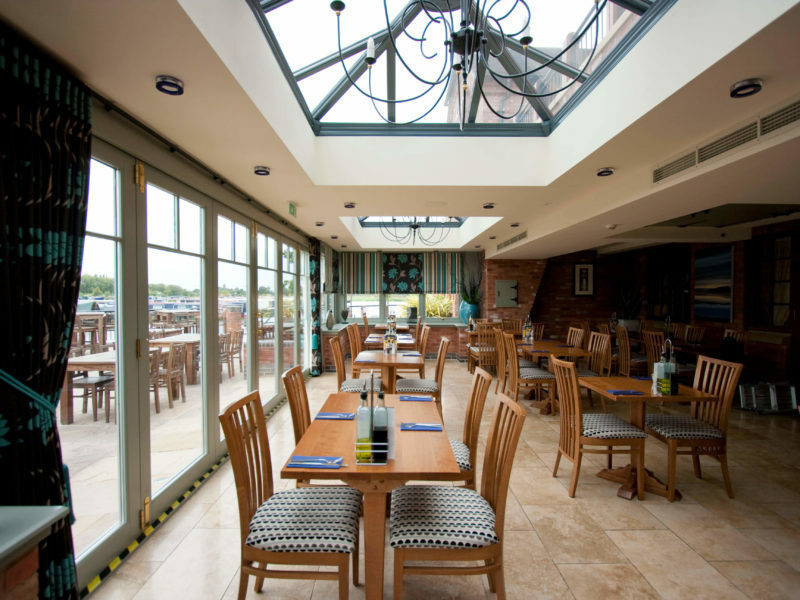 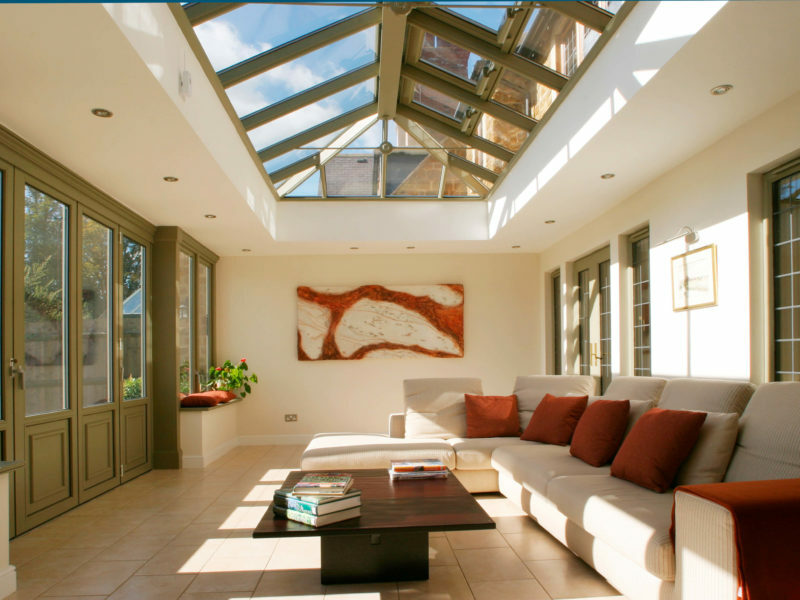 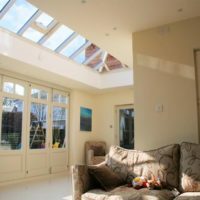 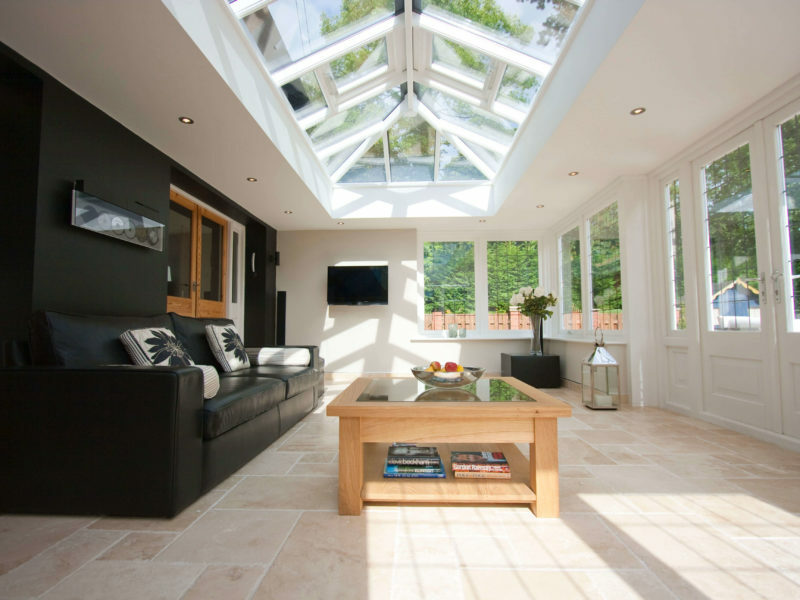 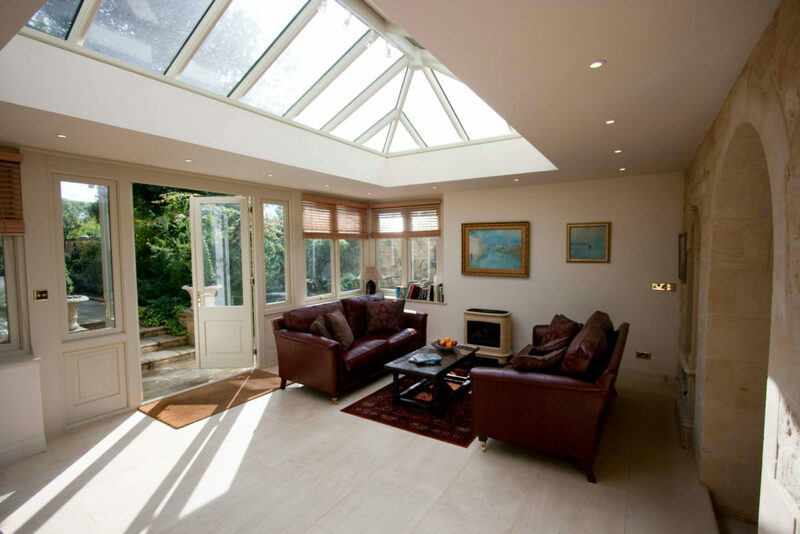 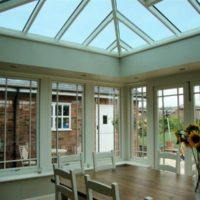 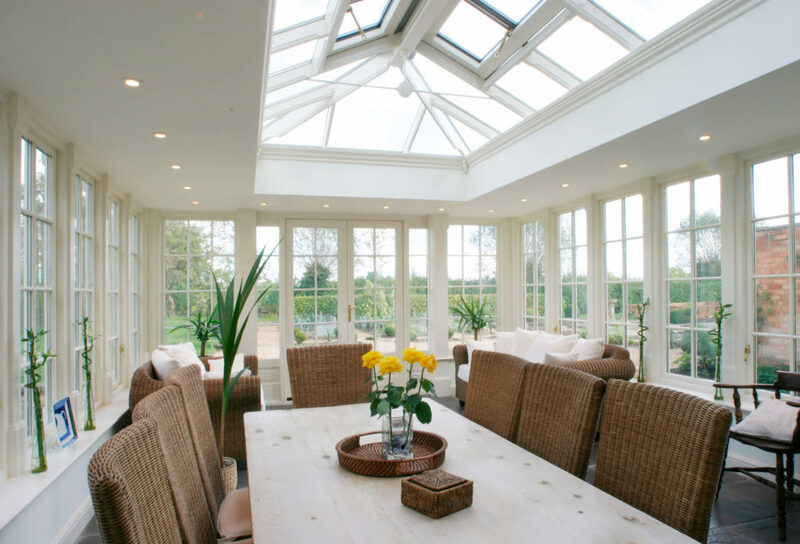 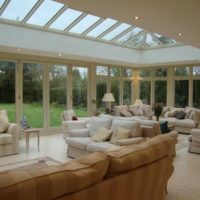 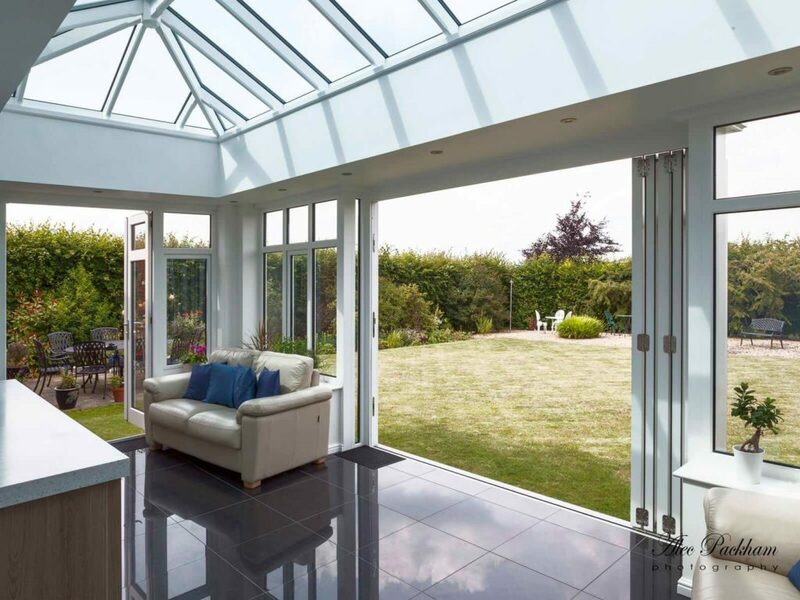 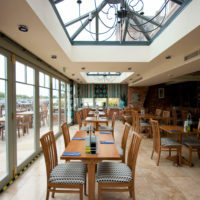 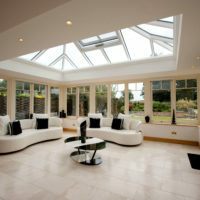 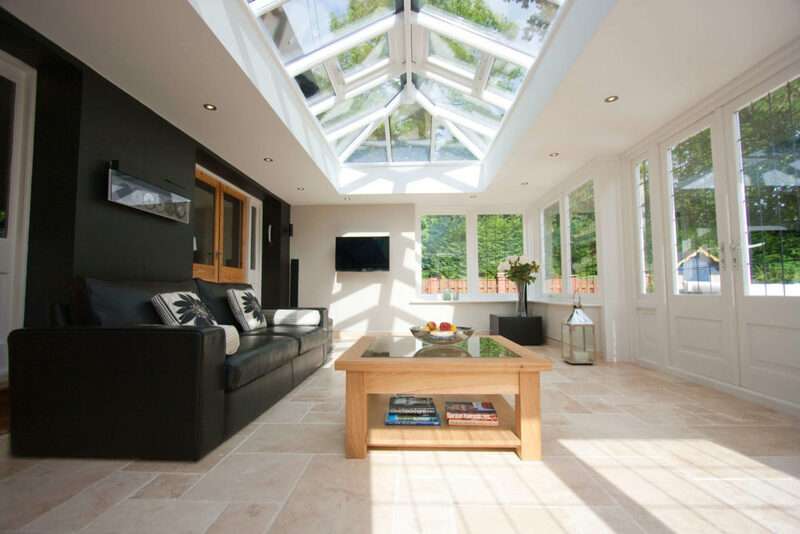 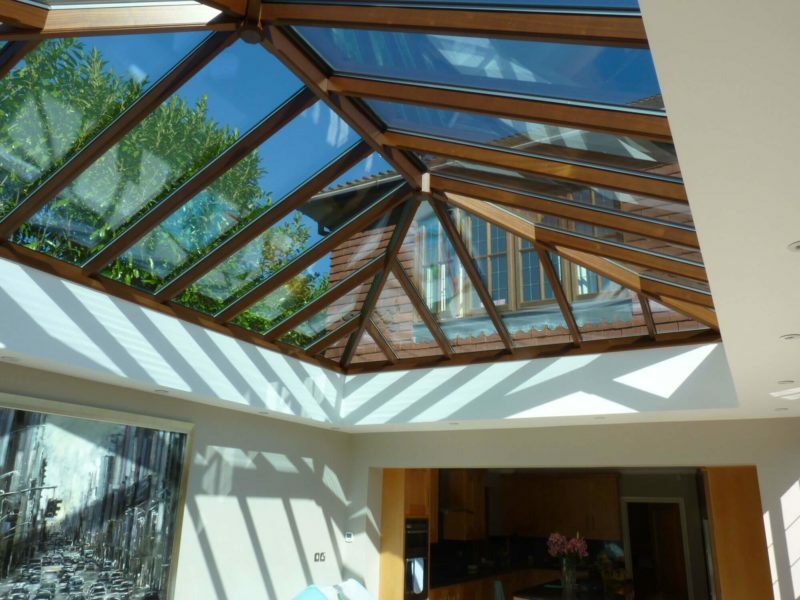 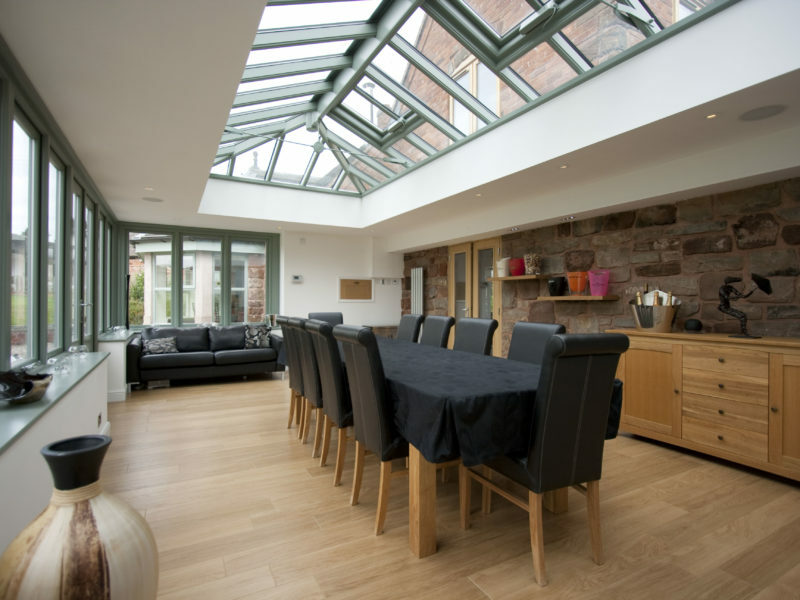 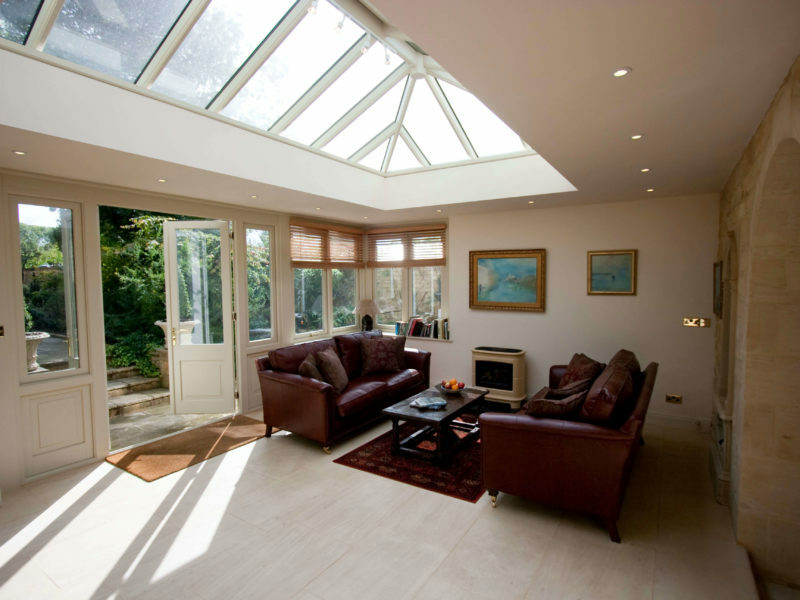 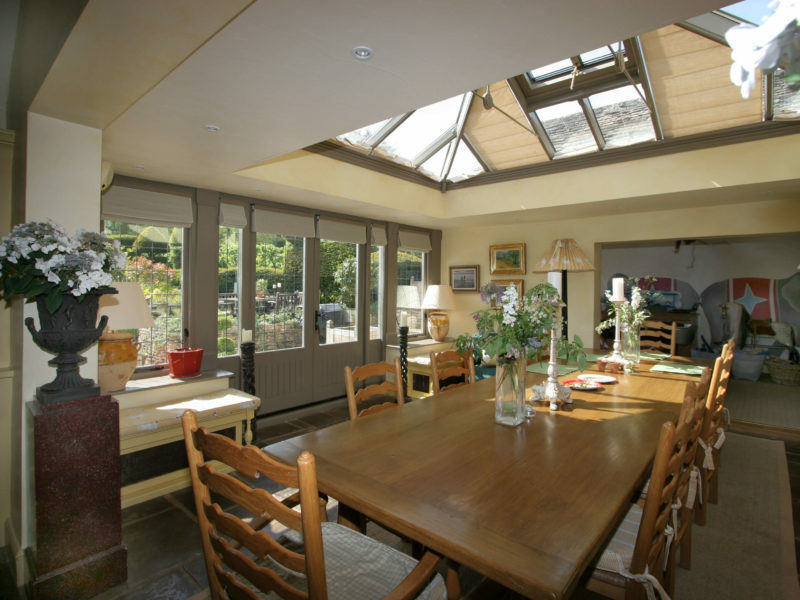 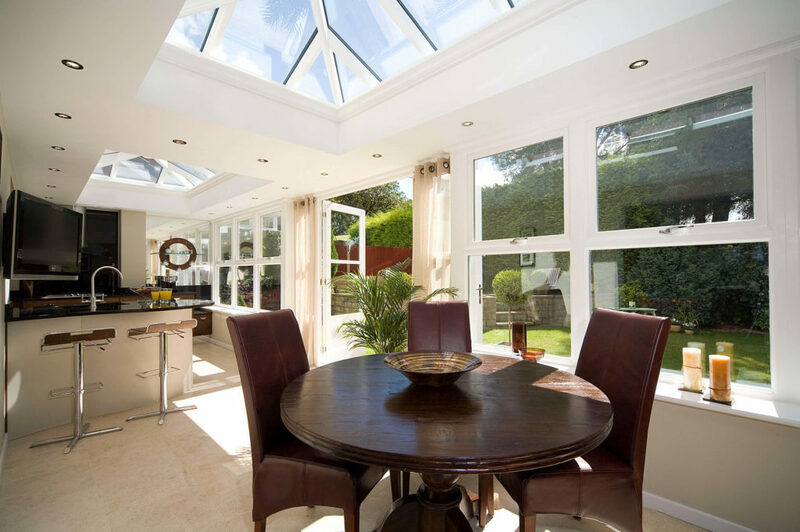 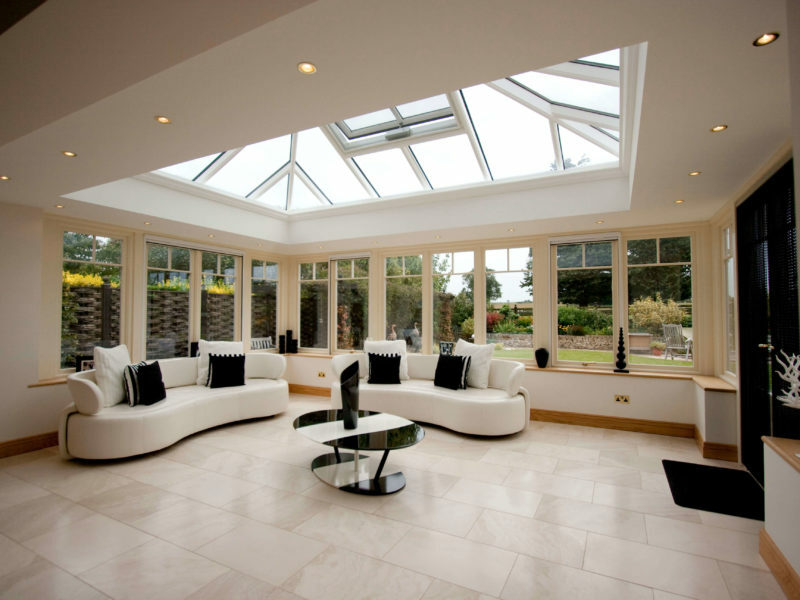 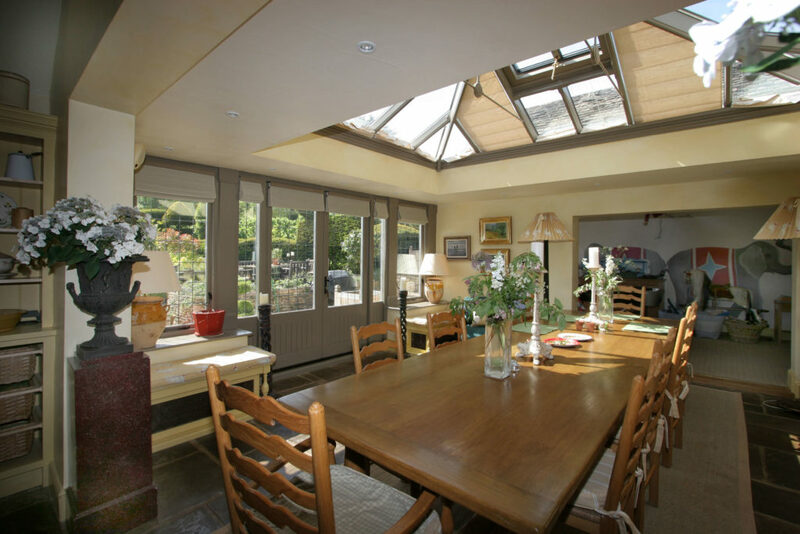 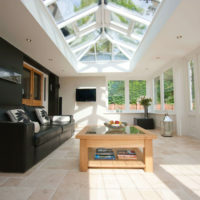 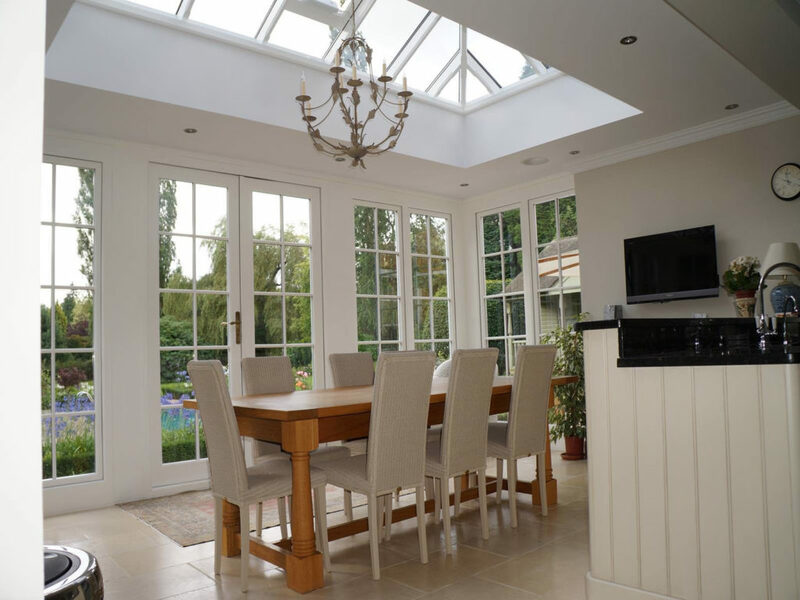 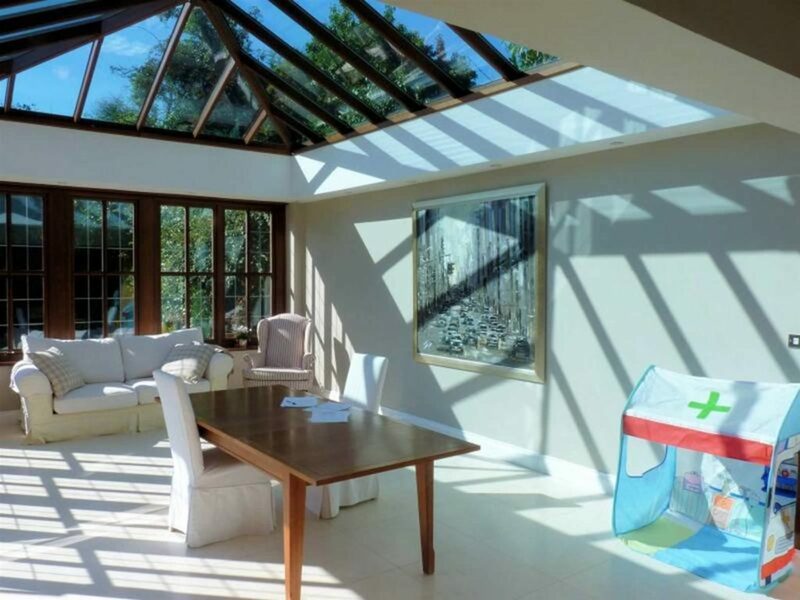 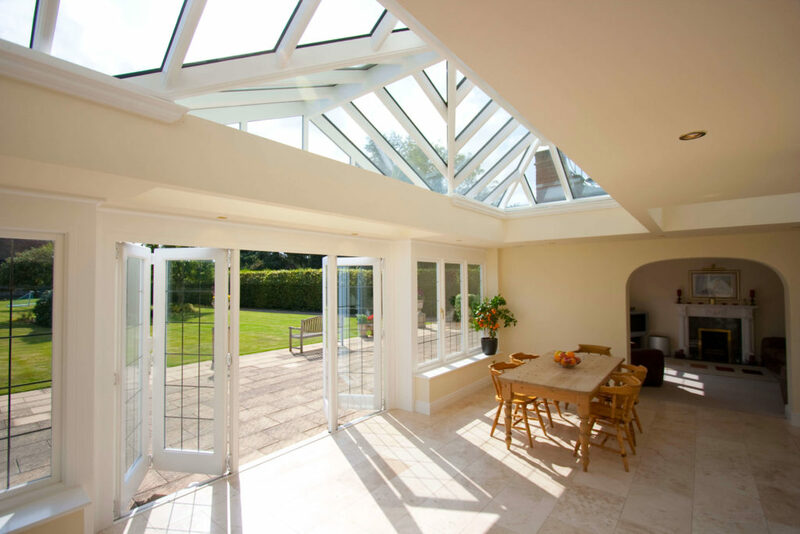 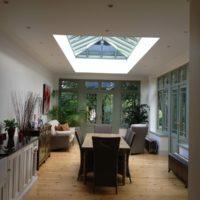 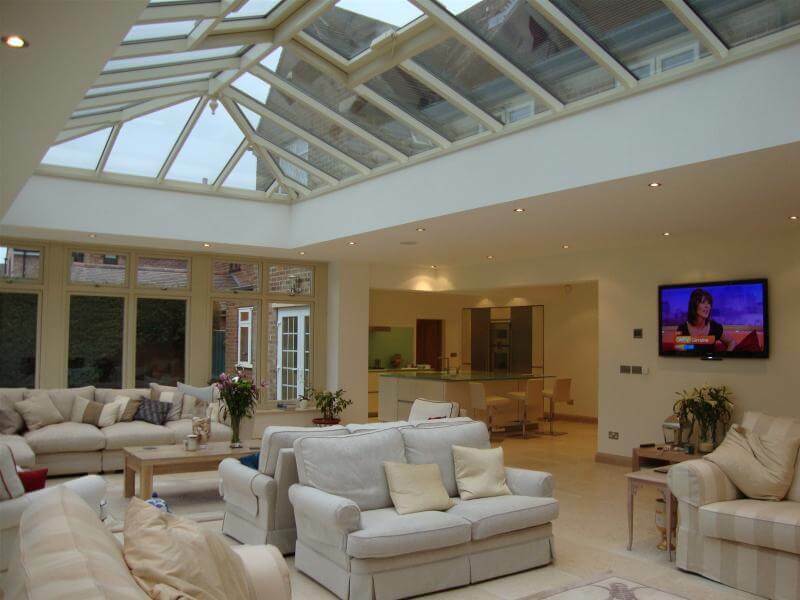 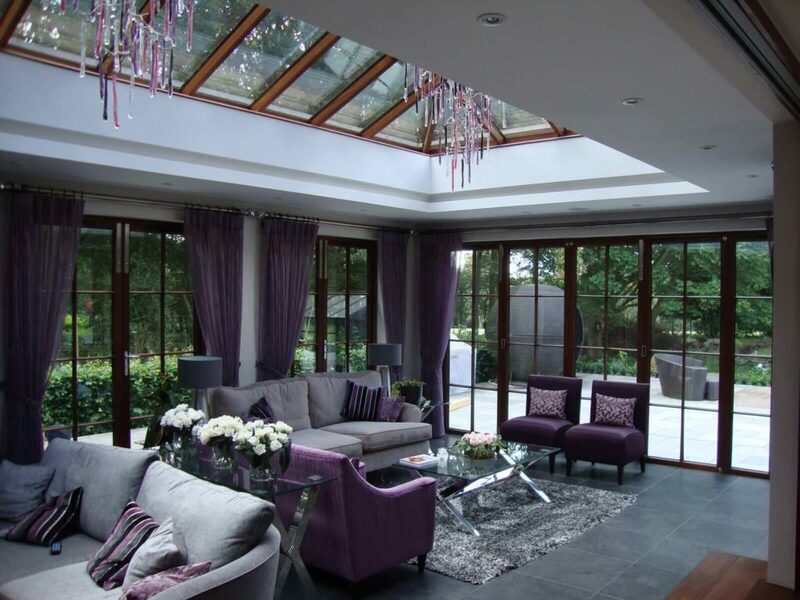 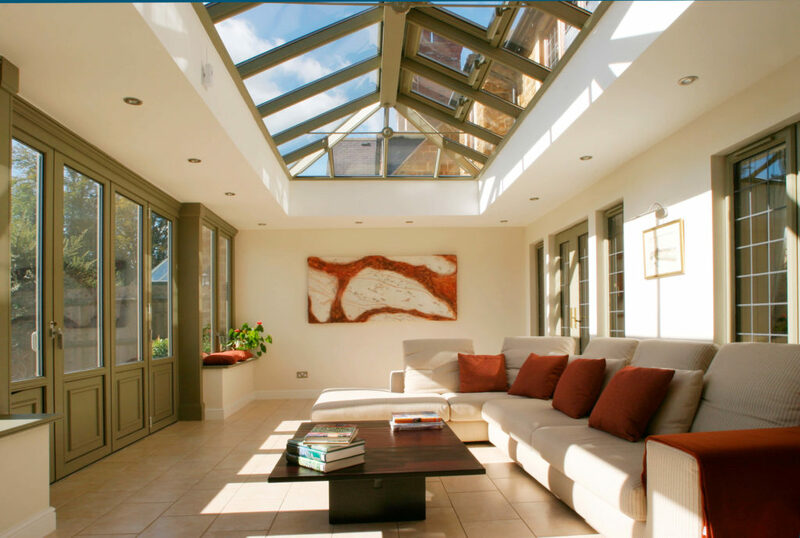 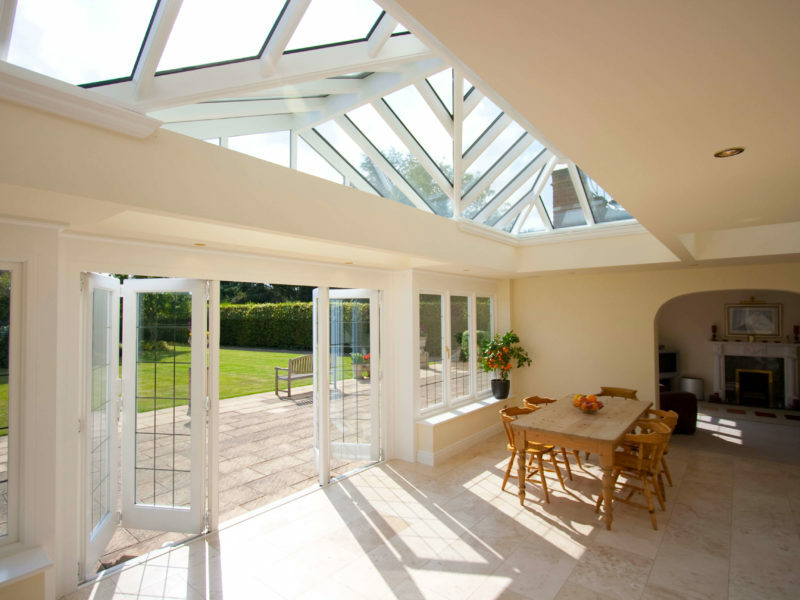 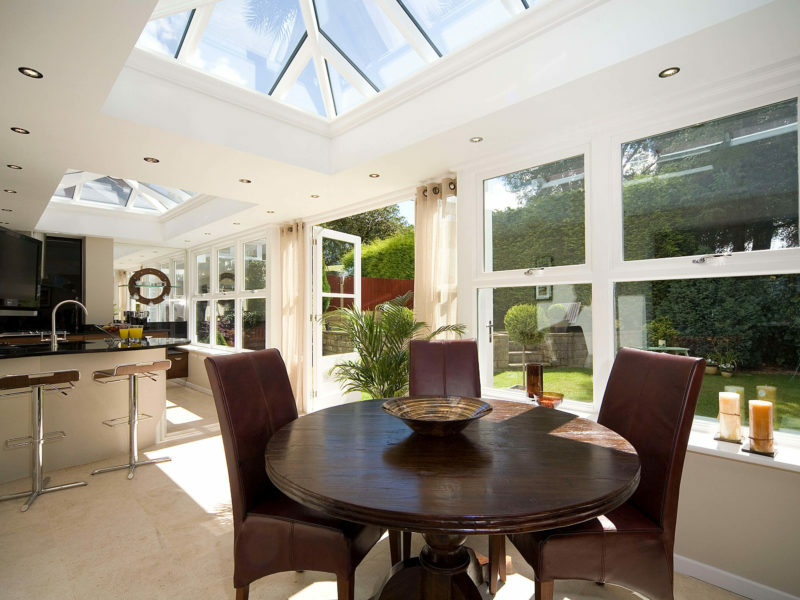 We are a well established Hardwood joinery that designs and manufactures premium quality roof lanterns to exact specifications as opposed to supply off-the-shelf products. 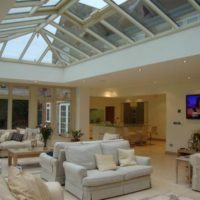 Not only are we established but our product quality is exceptional thanks to the combination of premium materials & expert craftsmanship. 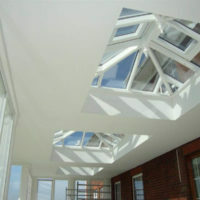 We offer competitive pricing & supply to B2C, B2B and Trade. 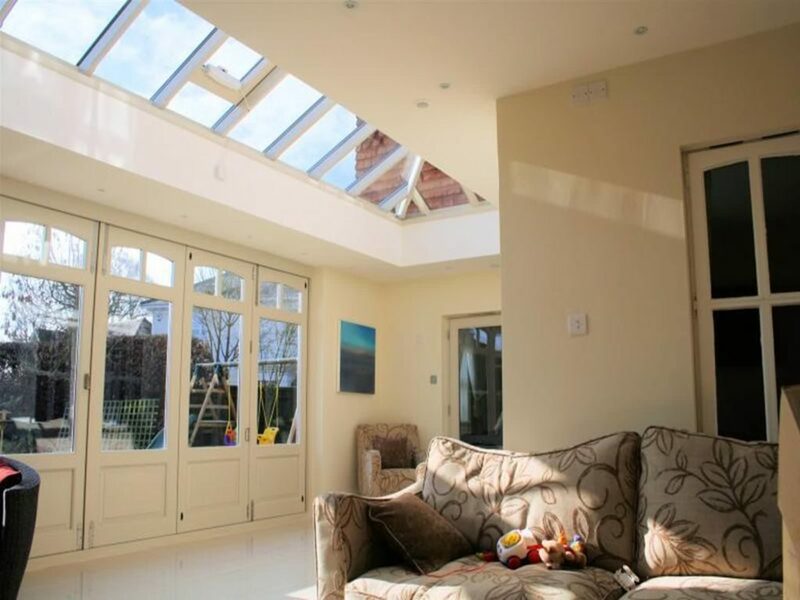 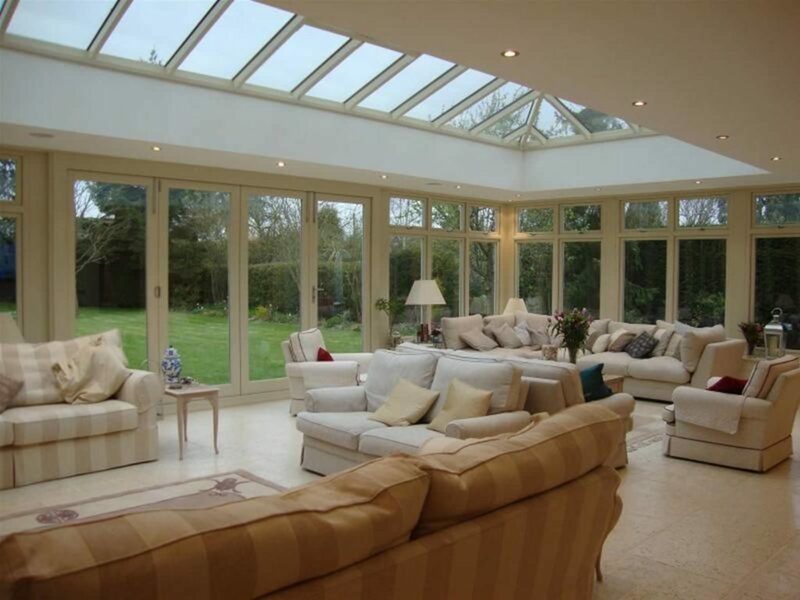 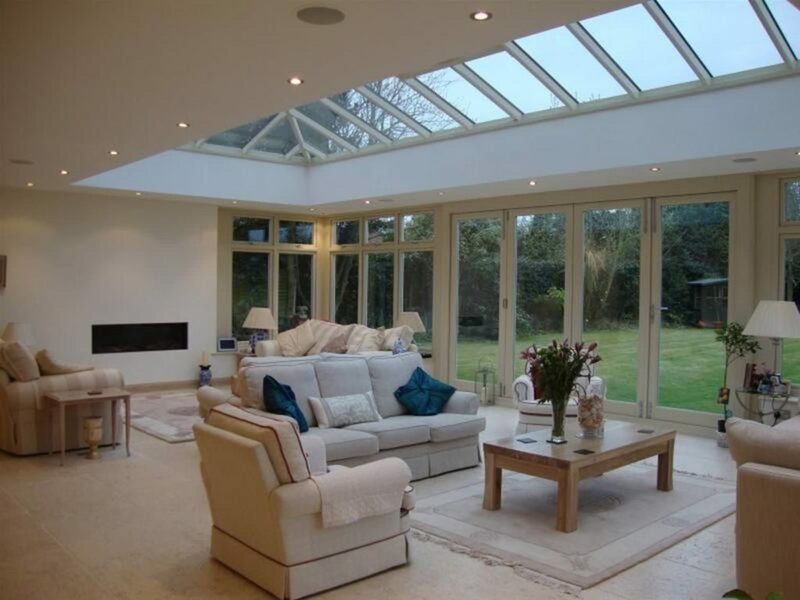 The product range we offer is diverse including Hardwood Orangeries, Conservatories, Windows, Doors, Bifold Doors and other hardwood products. 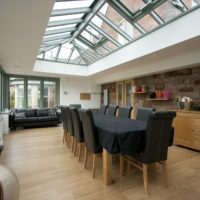 Our timbers are FSC sourced from healthy trees. 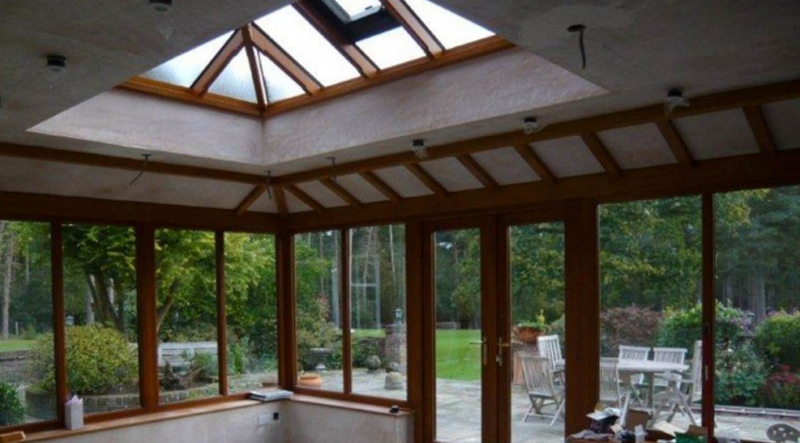 The woods chosen are treated to ensure a long lifespan and to inhibit the growth of mould / rot, funghi and moss. 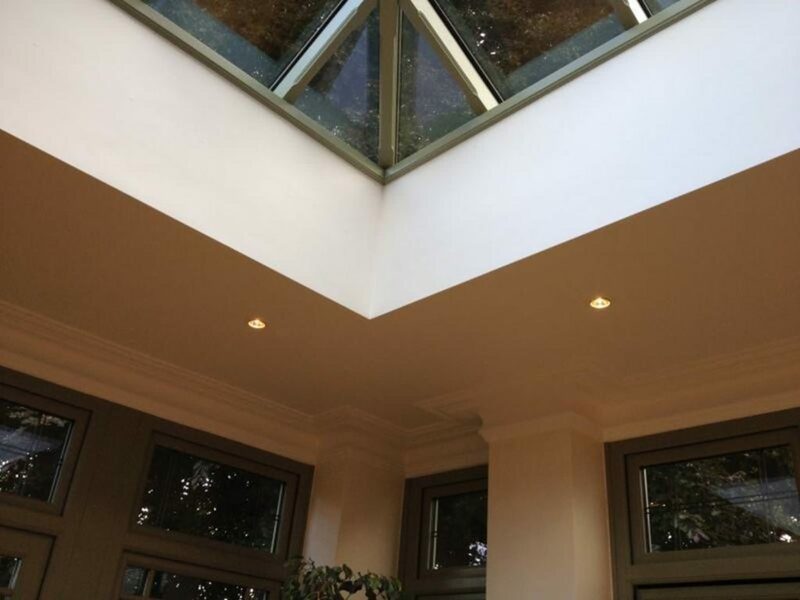 Once the timber has been treated, it is generally painted in premium farrow and ball micro porous paints which allow the wood to breathe. 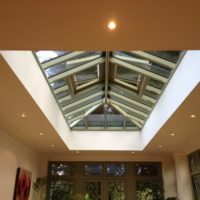 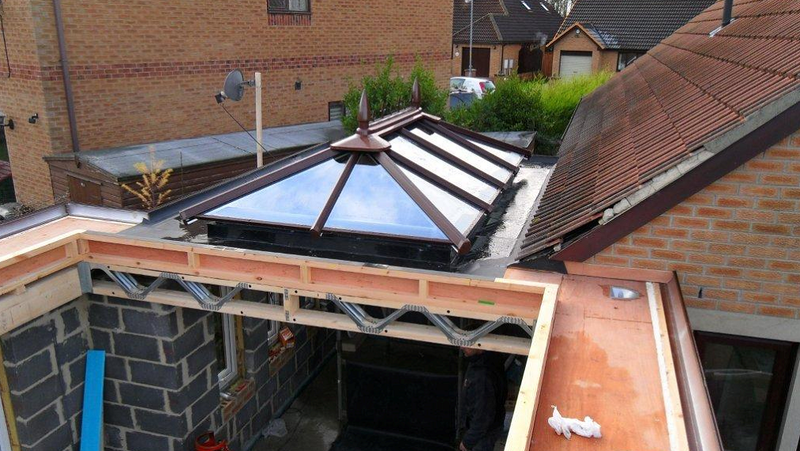 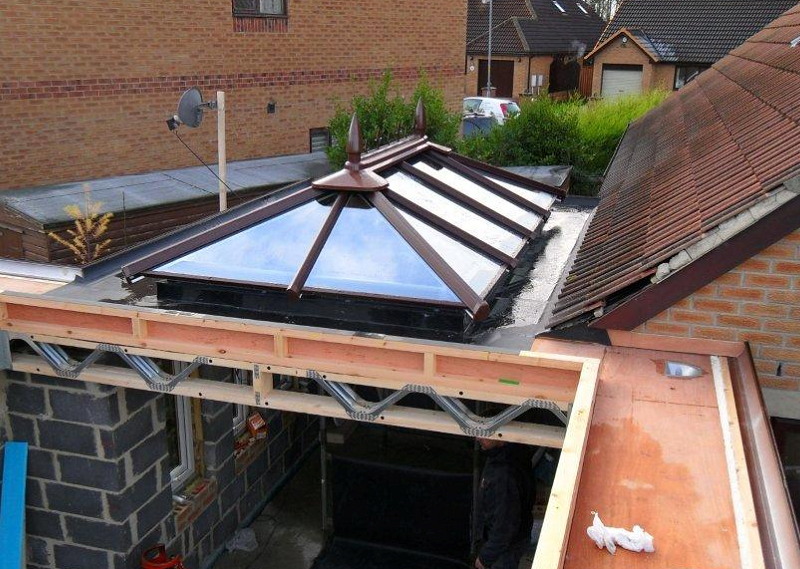 Our timber lanterns and timber rooflights are constructed using precision CNC machining and skilled craftsmen to assemble / tend to the product during manufacture. 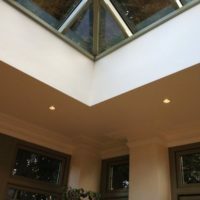 Each lantern is unique, styled and built to an exact specification for straightforward no hassle installation. 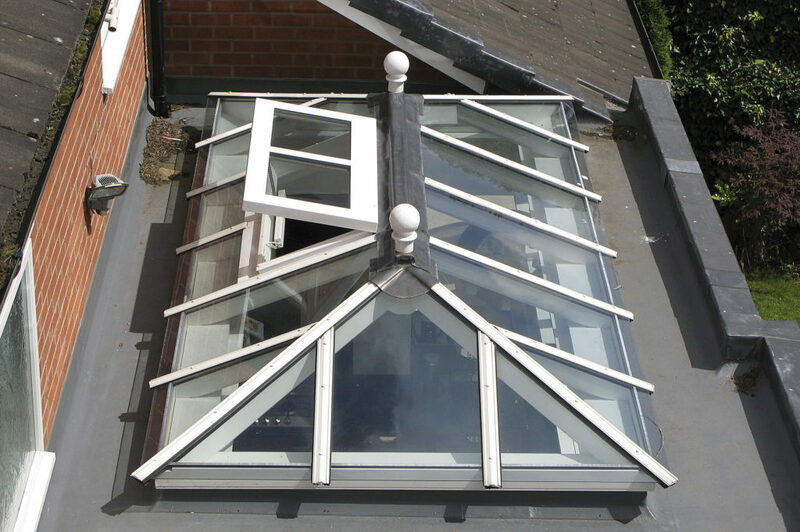 Our timber roof lanterns effectively clip together and can be assembled quickly and easily thanks to the way they are designed. 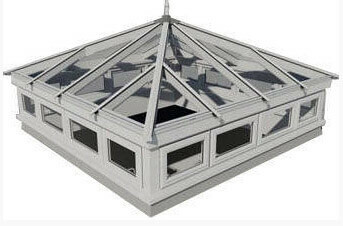 Our timber lantern roof is supplied with all the cappings which can be painted / powder coated to any RAL Colour / BS Colour. 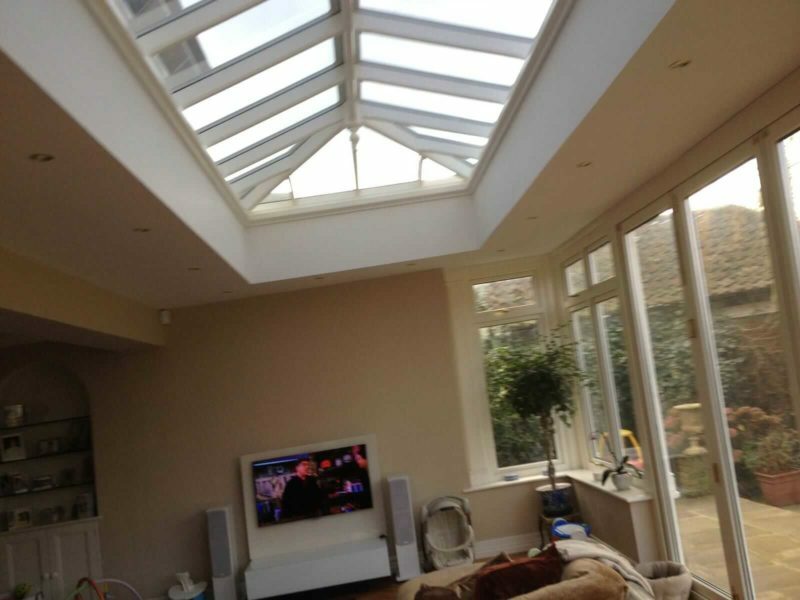 Our colour matching service can help keep your lantern in style with existing property structure. 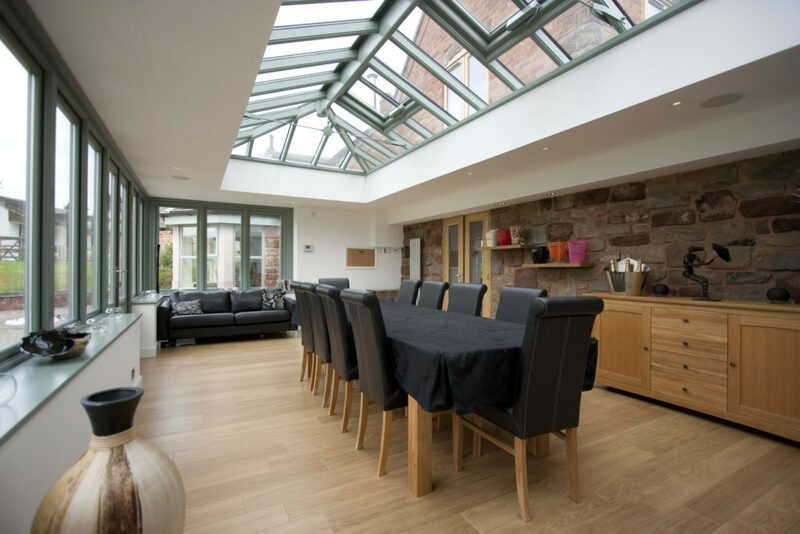 In our joinery, our machinery manufactures with absolute precision and as each piece of wood is carved to the exact MM, it is then transferred onto following stages where the timber roof lantern begins to take shape. 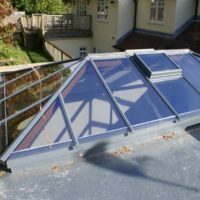 Once the expert craftsmen have finished with the lantern it is transferred to our own inhouse paint shop where high quality paints are used to finish the product. 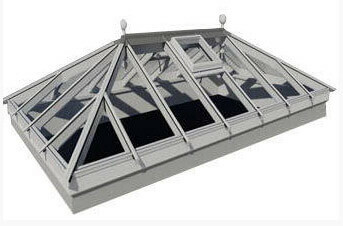 The finials on our lanterns are generally manufactured in aluminium. 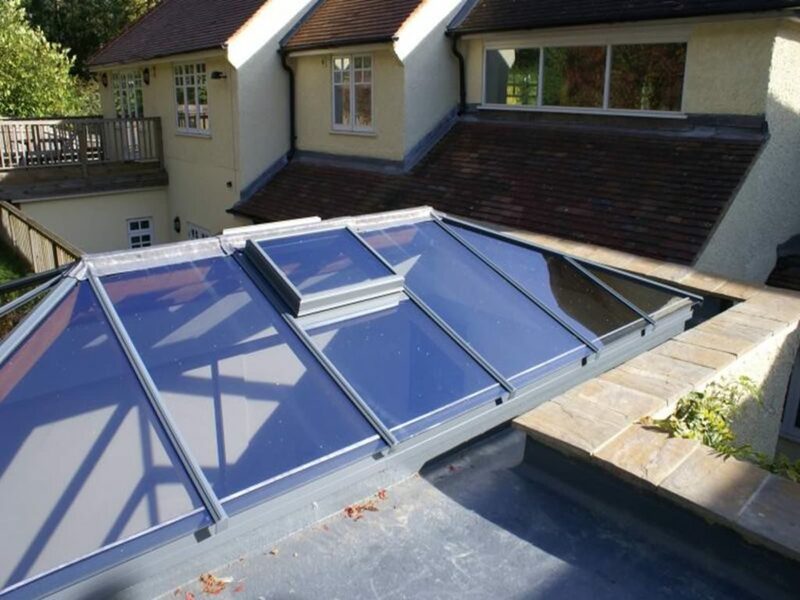 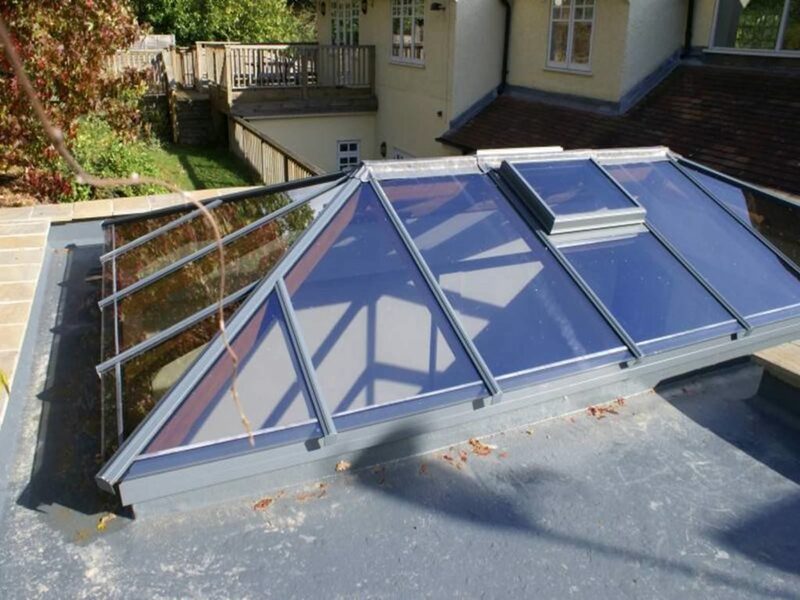 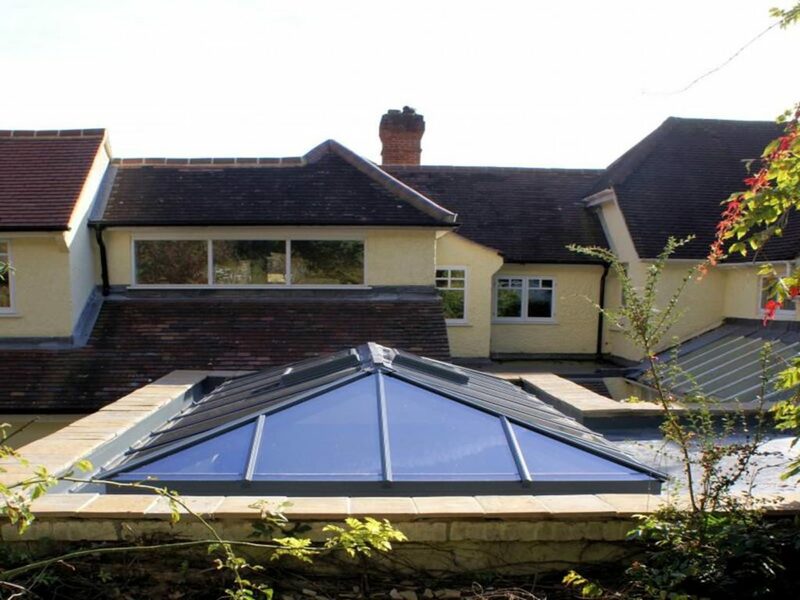 We use an aluminium capping system which provides weatherproofing and uses a twin gasket system. 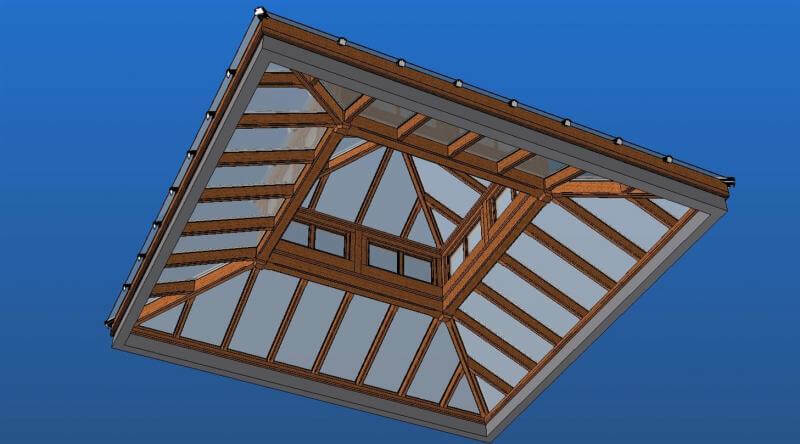 The glass units used in our timber roof lanterns are argon filled and can come in single, double or triple glazed units (typically 28mm). 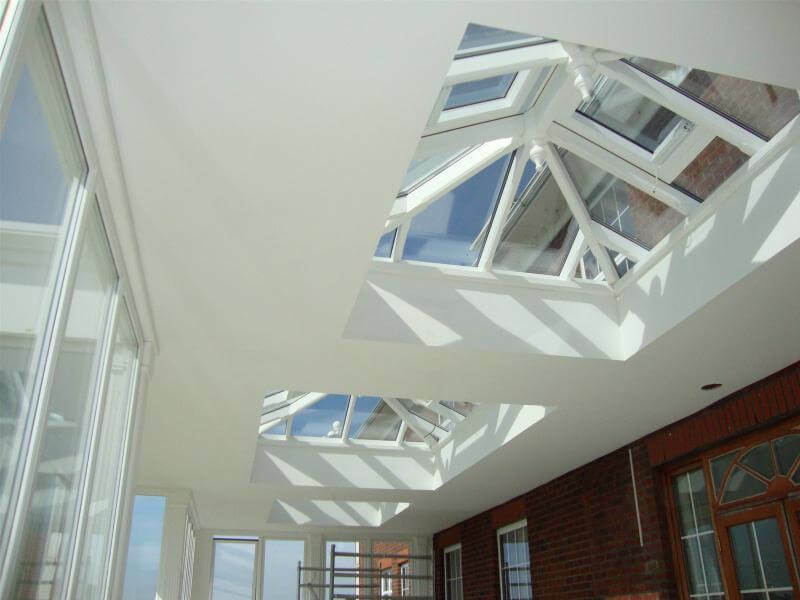 The timber rafters are generally 44mm wide, and the hips are 56mm wide. 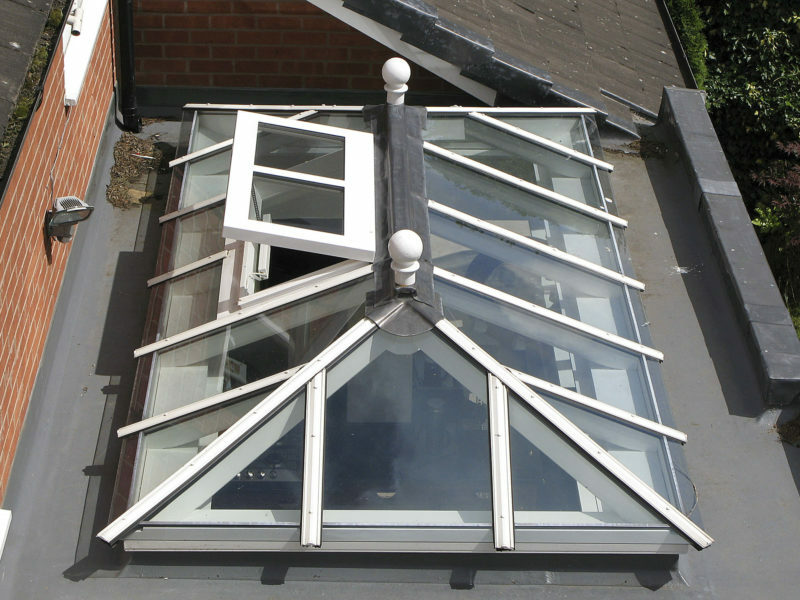 All the centre bosses on the lanterns are hand crafted which brings a traditional centre piece to every hip section. 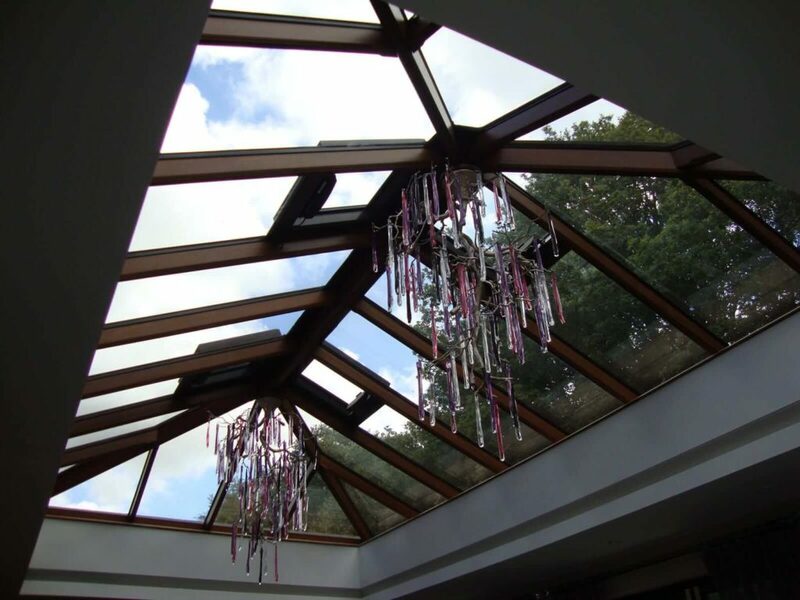 We use a mixture of plastic clips and timber dovetail systems to allow for easy assembly and installation of the timber lanterns. 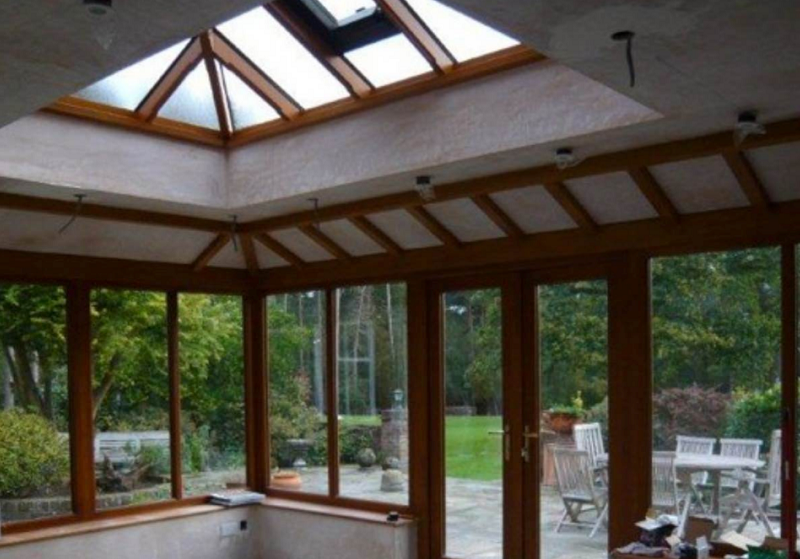 Browse our range of wood stains and opaque colours for timber lantern systems. 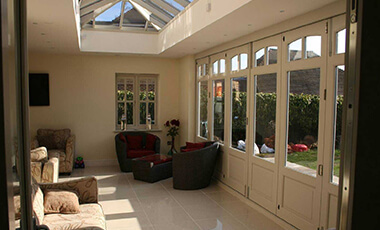 We can colour match to RAL / BS and use microporous paint which allows the wood to breathe. 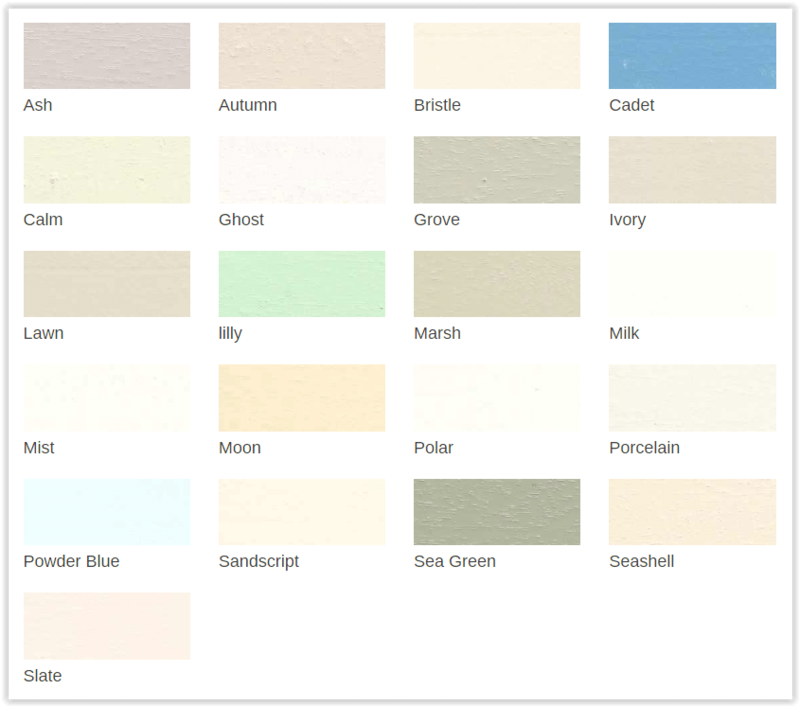 Two-tone colour options are available for exterior and interior styling. The specifications below apply to our standard timber lanterns, each lantern can be tailored to specific requirements. 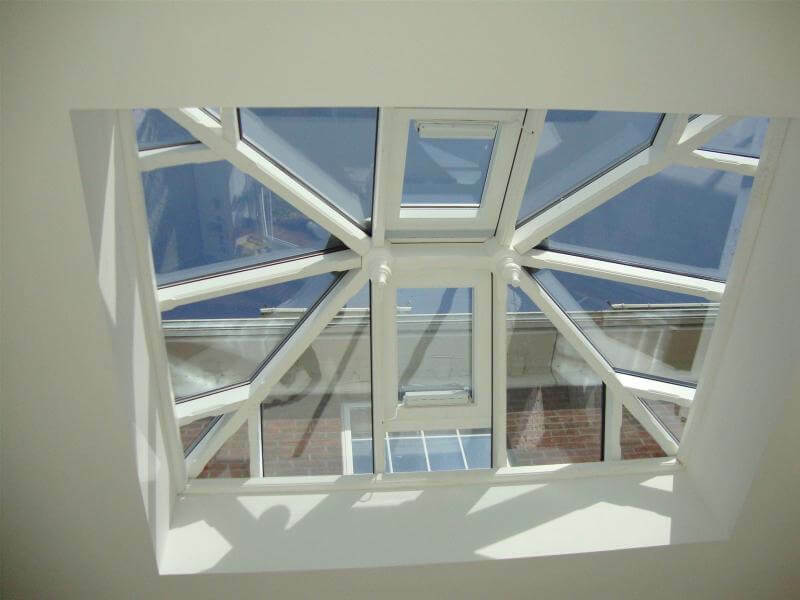 Our timber roof lanterns can be made to measure in a variety of configurations and shapes from circular to domed, from architectural to cubed, rectangular and triangular. 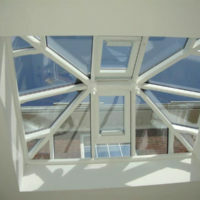 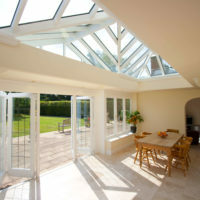 If your lantern is fitting an existing structure please provide us with the exact specifications when requesting a quote. 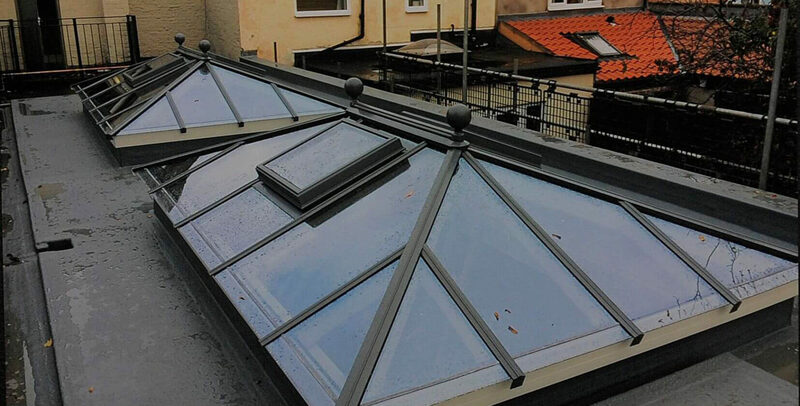 Here are prestige roof lanterns, we ensure every timber lantern meets and exceeds customers (both single and trade) expectations. 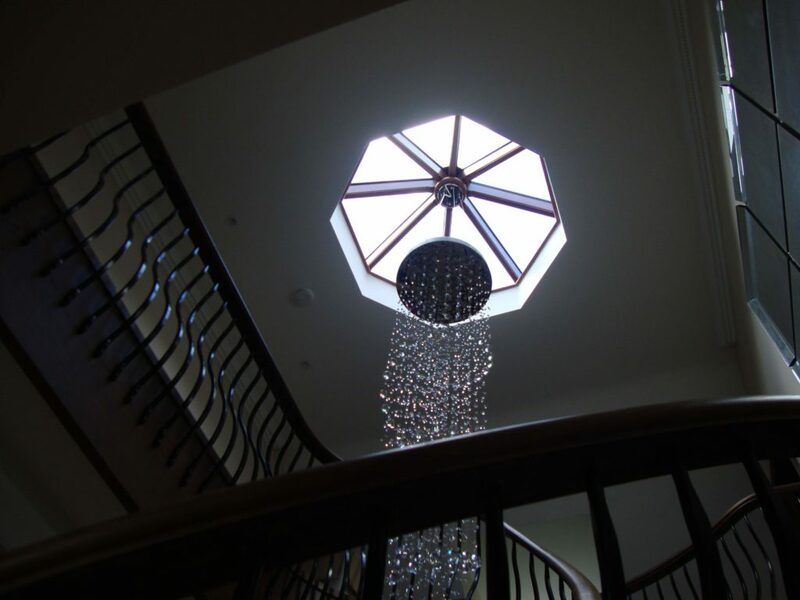 Each lantern is designed in CAD prior to manufacture, CAD drawings will be provided detailing every aspect of the lantern and its construction. 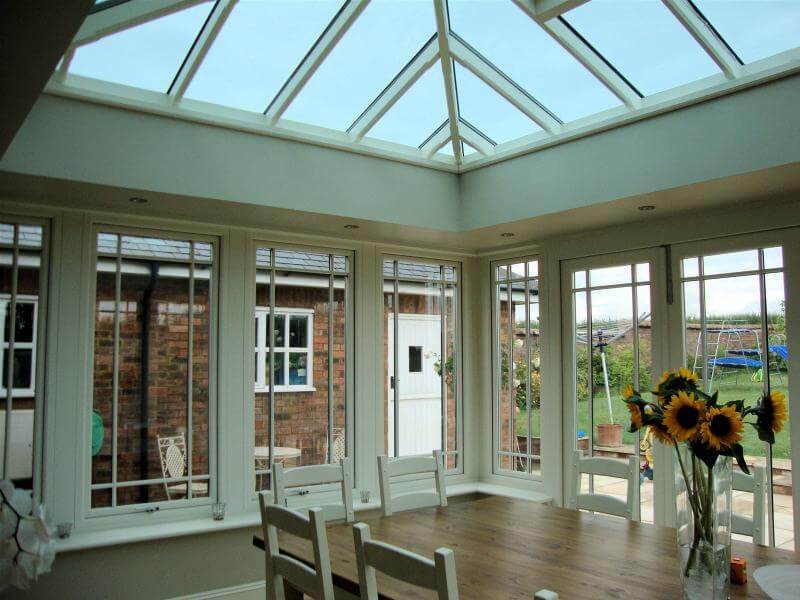 Your timber lantern can come as a unit that’s a roof only, or as a roof with side windows. 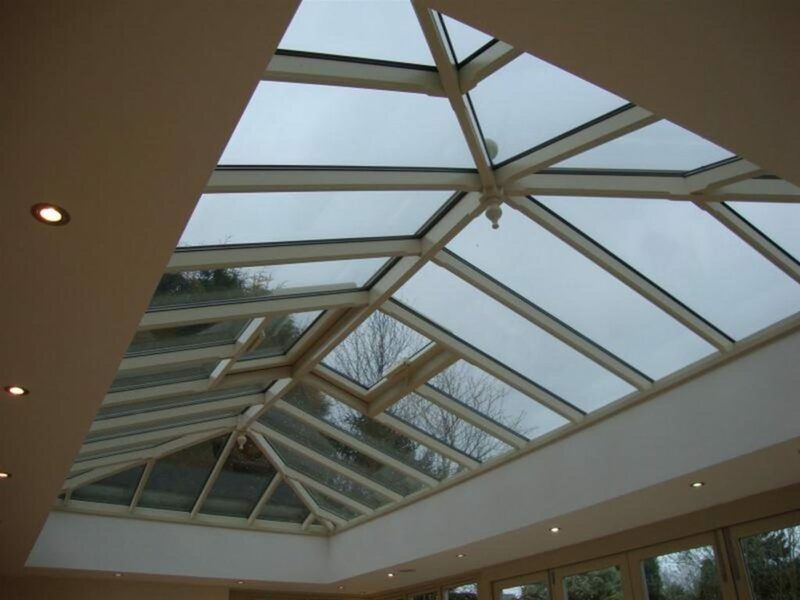 Typical standard sizes range from 750 x 750 up to 3000mm x 3000mm +. 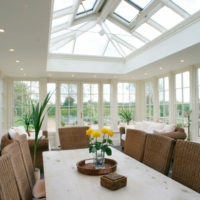 The size of the lantern and the choice of design and glazed units will impact on how the unit is made and assembled. 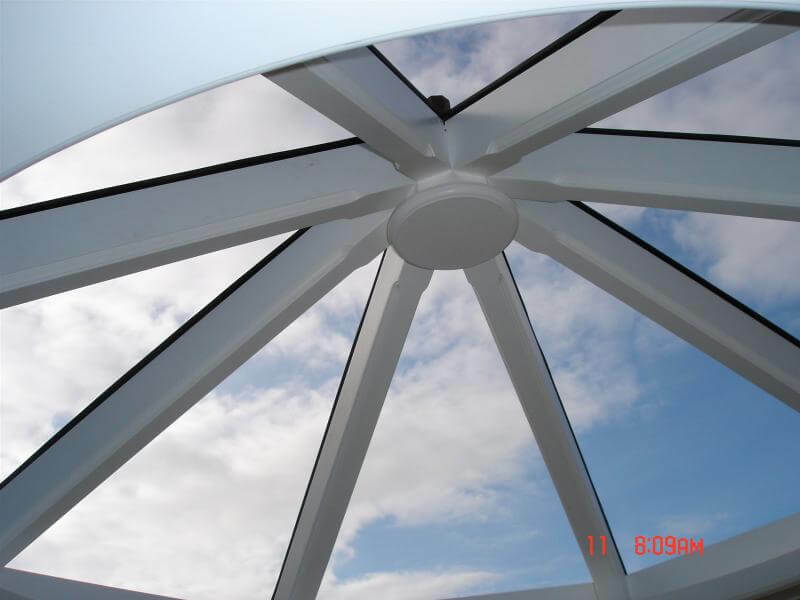 Heavier structures may require additional vertical or horizontal bars. Lantern prices are entirely dependent on size and styling options. 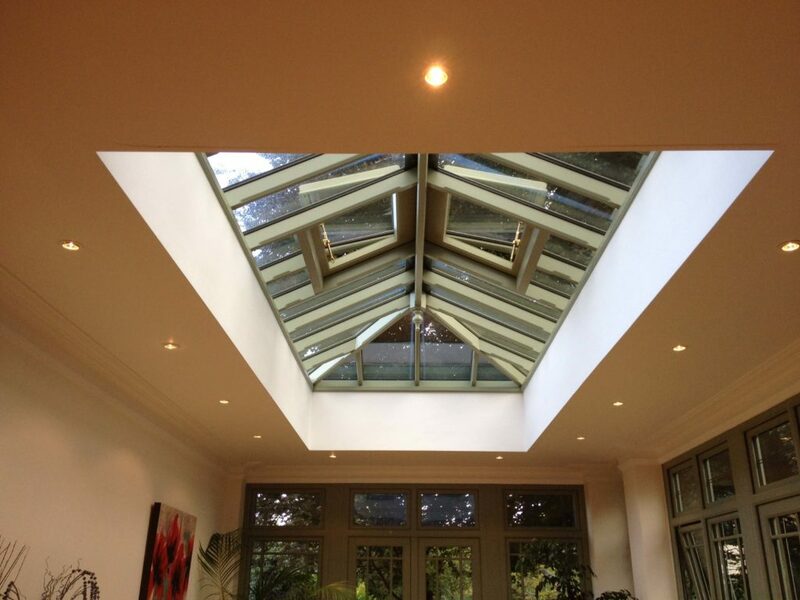 Lanterns starting at 750mm x 750mm start from £1057. 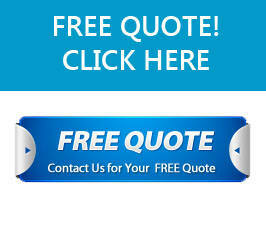 The pricing table below is a guide only, additional product configurations/styling options can change the overall product cost. 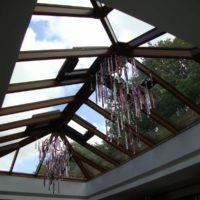 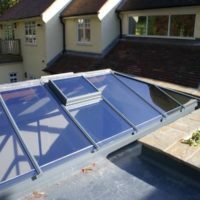 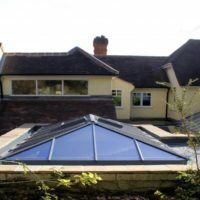 Timber lanterns are easy to maintain and have a relatively low maintenance schedule, learn more by reading our article on Maintaining Your Timber Roof Lantern.